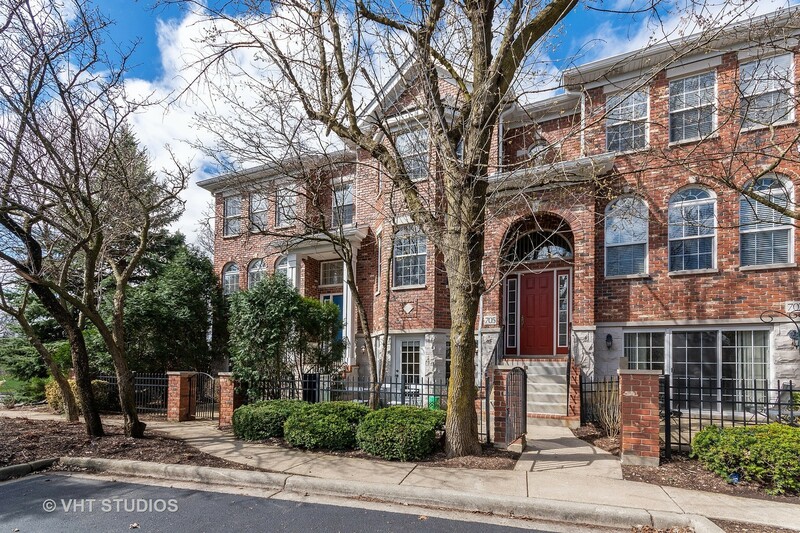 No maintenance townhome living with an urban feel & just minutes from the train, I-88, downtown Naperville & award winning Dist. 203 schools. RARE 3 BR with ALL baths beautifully updated + all rooms and trim painted in today&apos;s preferred tones- this is a special opportunity! Enjoy a wonderful main living area with a bay window, custom window coverings, an open floor plan, hardwood floors & all open to a gourmet kitchen (upgraded cabinetry, quartz counters & sleek black appliances). Lower level walk-out furnished space is a perfect office/playroom or recreation room & it leads out to a private courtyard patio. Back inside-great storage & a 2 car garage insulated and drywalled. The upper level offers a convenient 2nd floor laundry center, great MBR suite with a full wall of built-in custom closets PLUS a large WIC & and updated luxury bath with granite & so well appointed. BRS 2 & 3 both with double closets & they share the recently remodeled family bath. Choice location & value!